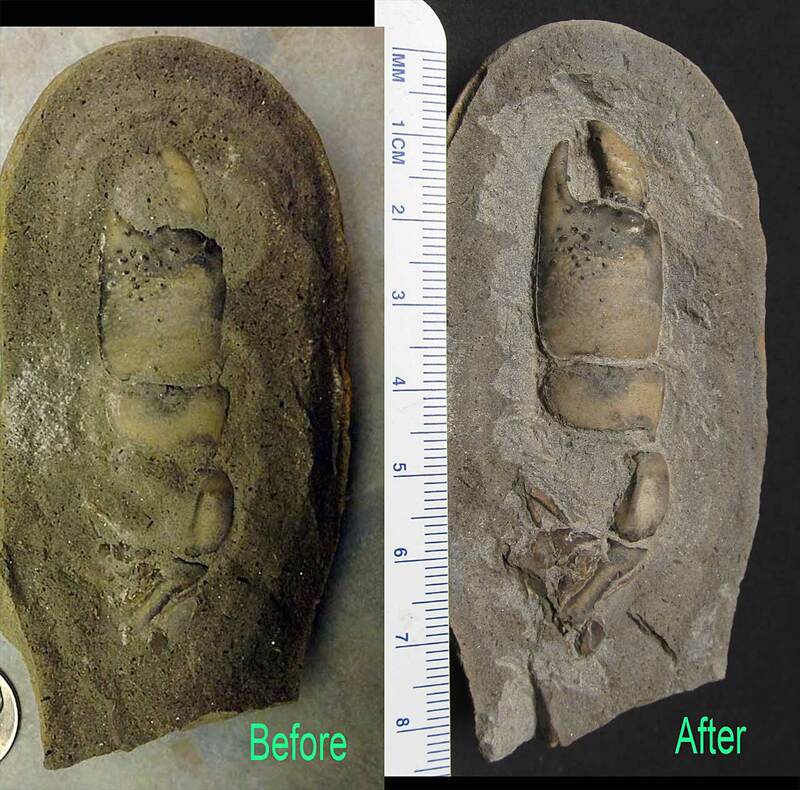 Here is a fossil I profiled in August 2012. My cousin brought this back from Washington state and yesterday he prepped it. This picture shows a picture of it August and now January 2013. We think this is a claw from a ghost or mud shrimp called Callianopsis. The fossil could be from the Lincoln Creek formation of the Oligocene epoch. Thanks Kenny for the pictures!